american pie | Letters from an unknown author! Well, here’s the first thing that perhaps you didn’t know; The lyrics to American Pie, or more correctly, writer Don McLean’s sixteen page original draft of the song was sold recently at an auction in the USA for 1.2 million dollars, that’s £806, 000 for us here in the UK. That’s a hell of a lot for a few song lyrics but to be fair, American Pie has the most interesting and fascinating lyrics of any pop song ever. 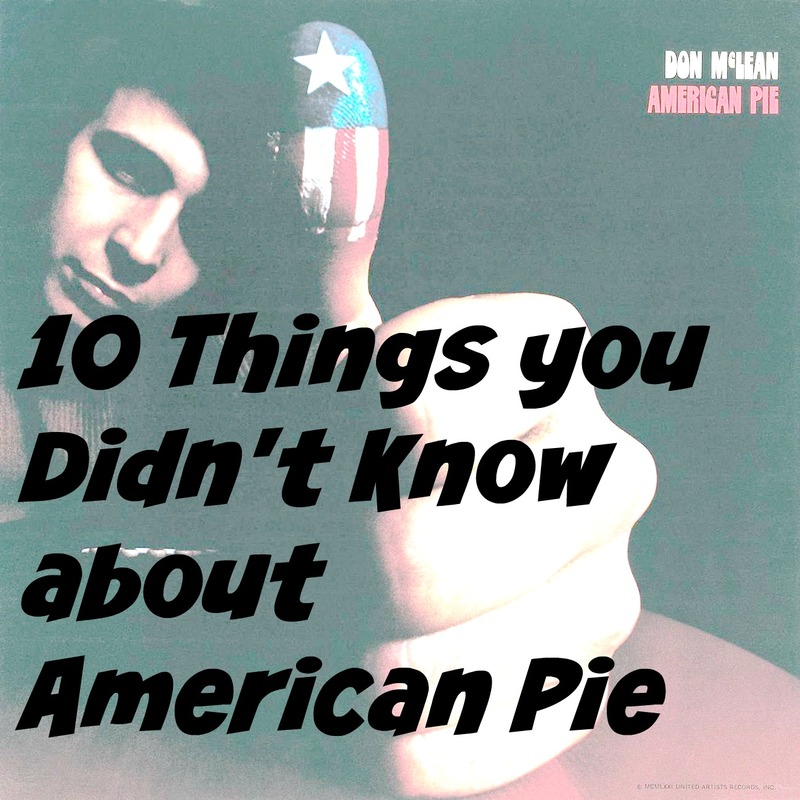 American Pie debuted in 1972 and reached number 2 in the UK charts. I didn’t really get interested in music until 1973 when I started buying singles but also, in that same year, a magazine was launched in the UK called ‘the story of pop’ and in one of the issues there was a lengthy article about the song and what it meant and ever since then I’ve been fascinated by the lyrics and what they may or may not mean. This is generally thought to refer to Buddy Holly’s sad death in 1959 at the age of 22. Holly was only at the beginning of his career and would have gone on to greater success. Even so, he was inducted into the rock n roll hall of fame in 1986. The King is of course the King of rock n roll, Elvis Presley, and it was his crown that the Jester stole when the King was looking down. The Beatles are the Sergeants, fresh, no doubt, from their Sergeant Pepper album. This part of the song refers to the Rolling Stones’ concert at Altamont Speedway in northern California. The event was a free one and was anticipated as a sort of ‘Woodstock west’. Various bands played including Santana, Crosby, Stills and Nash, and The Grateful Dead. The fans however, were stoned on drugs and drink and the atmosphere deteriorated, so much so that the Grateful Dead declined to play. The local chapter of the Hells Angels motorcycle gang were hired, supposedly, to take care of security but they later denied this and said they had been promised $500 dollars’ worth of beer merely to keep people away from the stage. During the concert a fan by the name of Meredith Hunter was killed by a Hells Angel. Hunter had tried to get on the stage during the Stones performance and the Hells Angels had pushed him away. Hunter returned and pulled out a revolver from his jacket. Hells Angel Alan Pissaro charged Hunter; pushed the gun aside and stabbed him. The incident was caught by a film crew which helped Pissaro’s self-defence plea later on in court. Pisarro was acquitted. The clock had turned full circle from the innocence of the fifties to the disillusionment of the late sixties and Don Mclean’s classic song is a wonderful and lyrical evocation of the times. Click on the video below and enjoy American Pie for yourself.